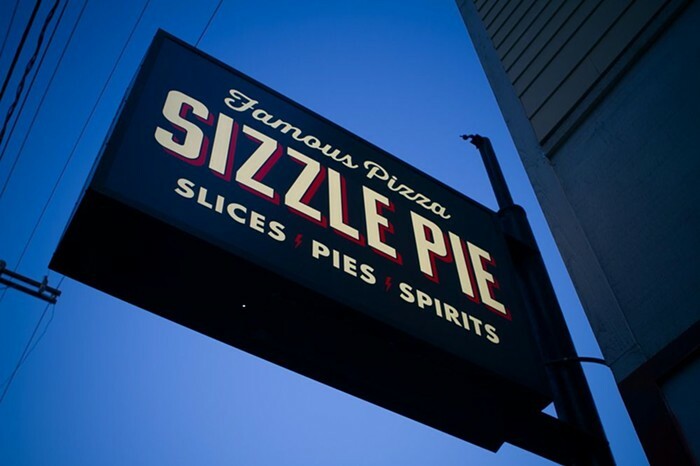 Sizzle Pie is the first Seattle location of the popular Portland pizzeria mini-chain. It offers an impressive array of vegan, vegetarian, gluten-free, and meaty pizzas, available by the slice or pie. The pizza names (“Let us play your party,” “Good luck in jail,” “Napalm Breath”) will either make you laugh or groan, but you can’t argue with the creativity and flavor of the vegan “Spiral Tap”—a creamy caramelized onion spread swirled with red sauce, and topped with nutritional yeast. Sizzle Pie is open until 3 a.m. every day, and 4 a.m. on Fridays and Saturdays.